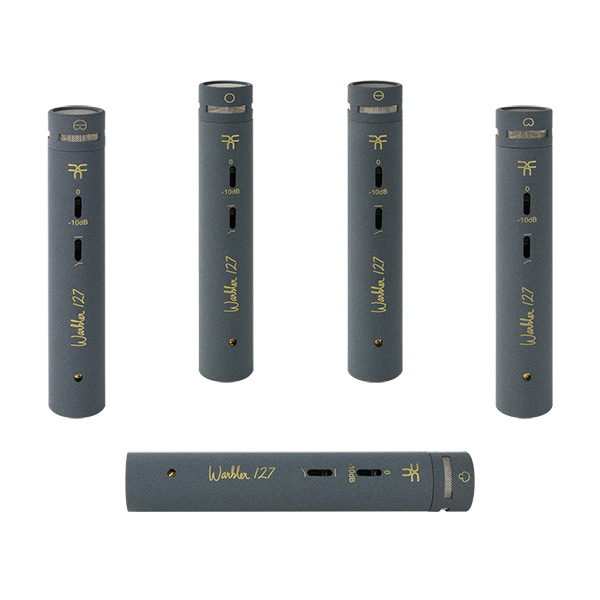 The Warbler 127 series has five models. 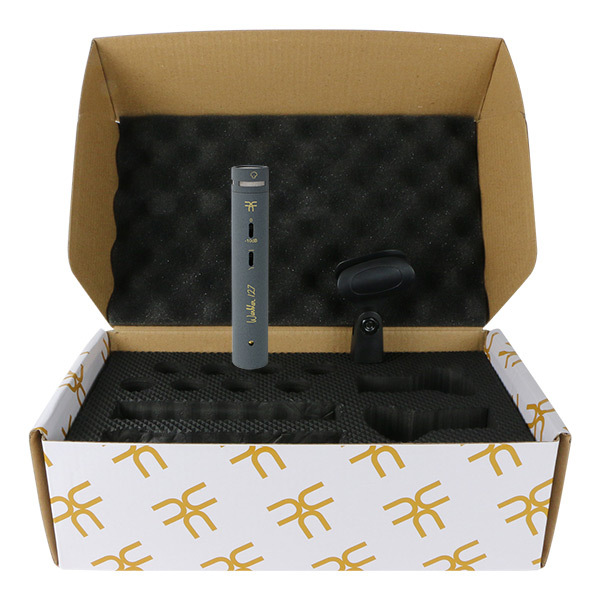 The head amplifier (mic body) is a fully discrete ‘Class A’ transformer coupled circuitry with pre attenuation pad and low frequency roll-off switches. 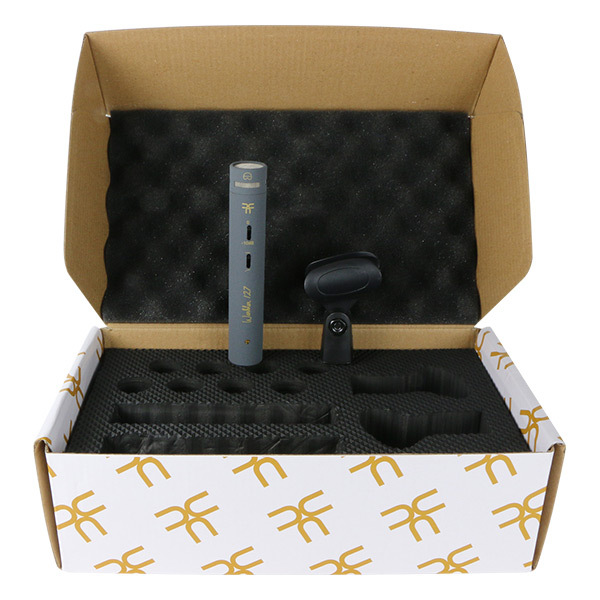 The Warbler 127 and CM100 share same capsules. 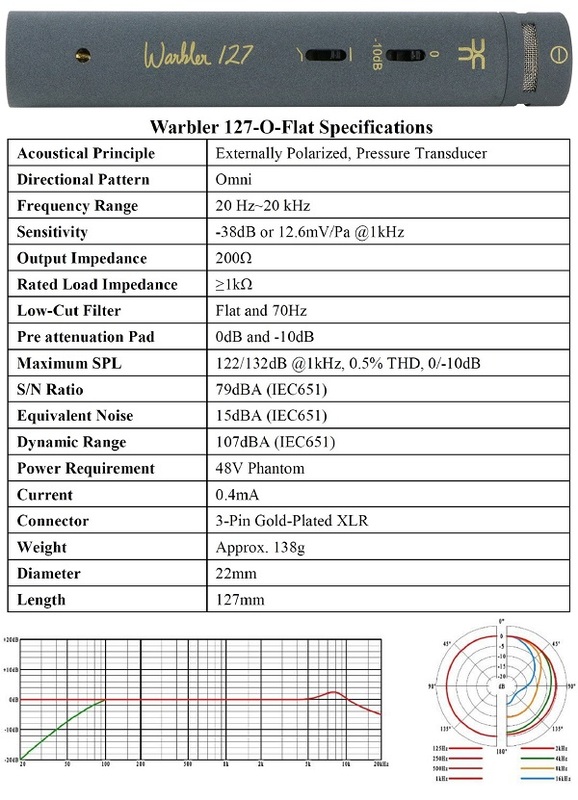 Warbler 127-C is cardioid pattern transformer coupled SDC mic with airy top end. 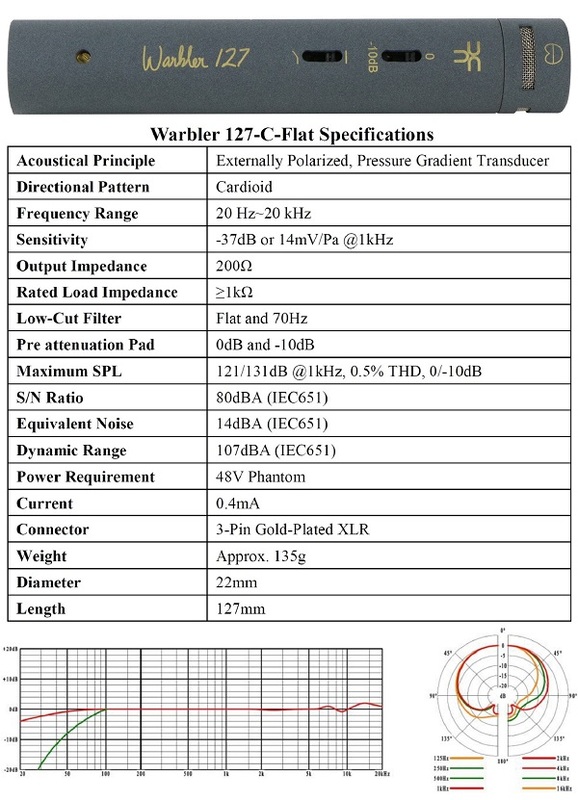 Warbler 127-C-Flat is cardioid pattern transformer coupled SDC mic with smooth top end. 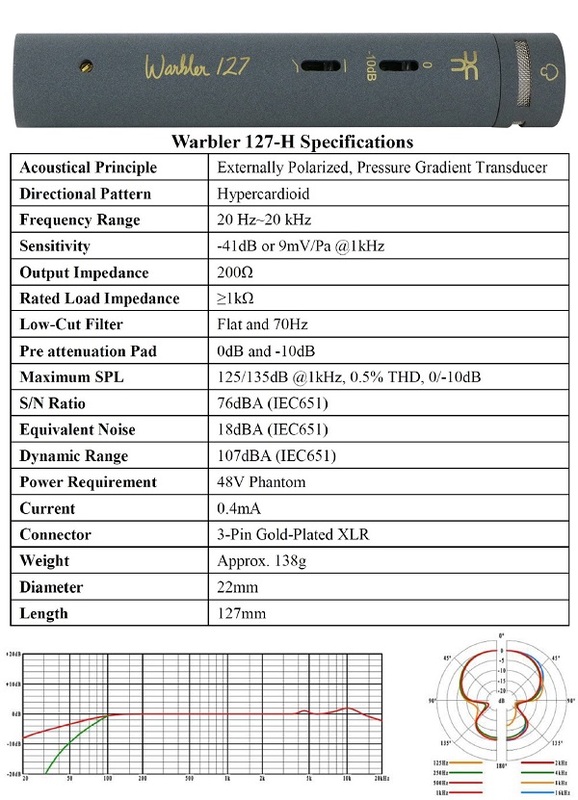 Warbler 127-H is hypercardioid pattern transformer coupled SDC mic. 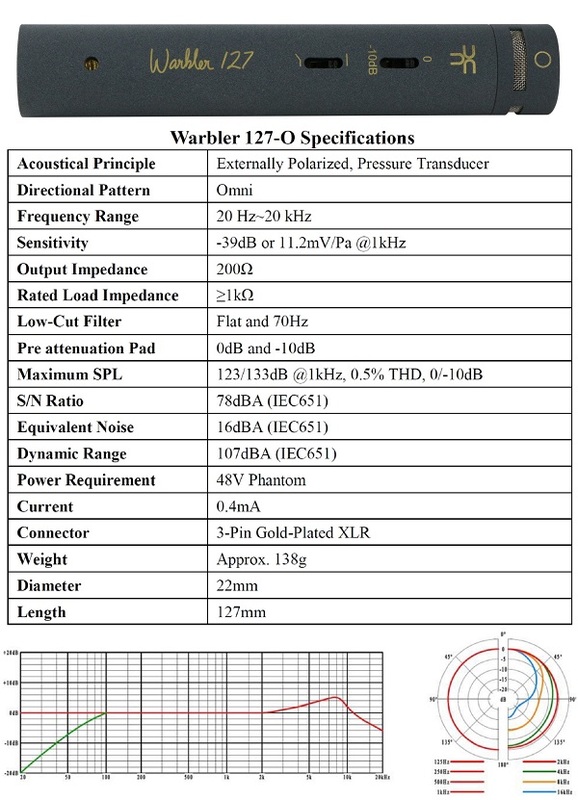 Warbler 127-O is omni pattern transformer coupled SDC mic with airy top end. 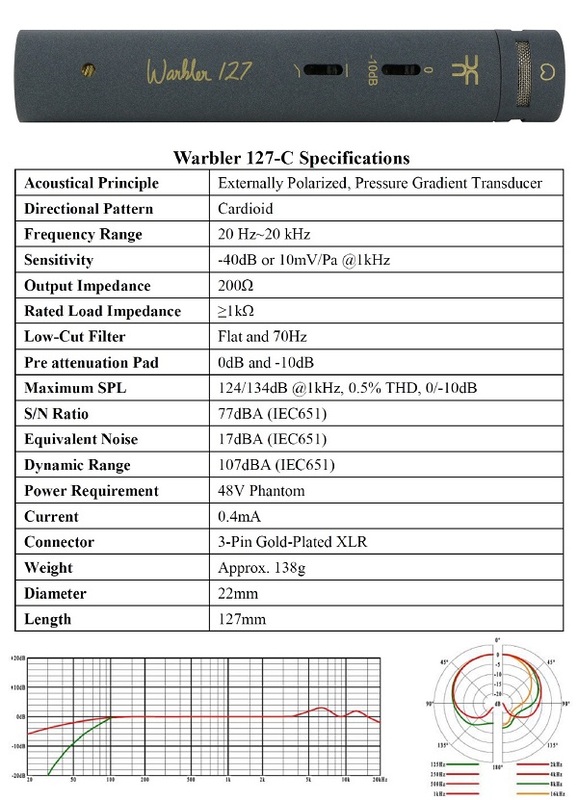 Warbler 127-O-Flat is omni pattern transformer coupled SDC mic with smooth top end.